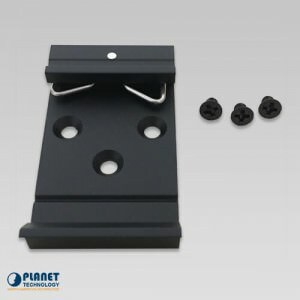 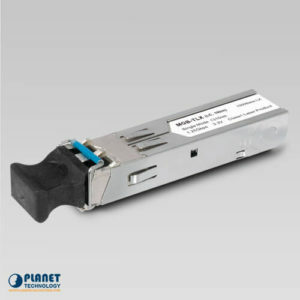 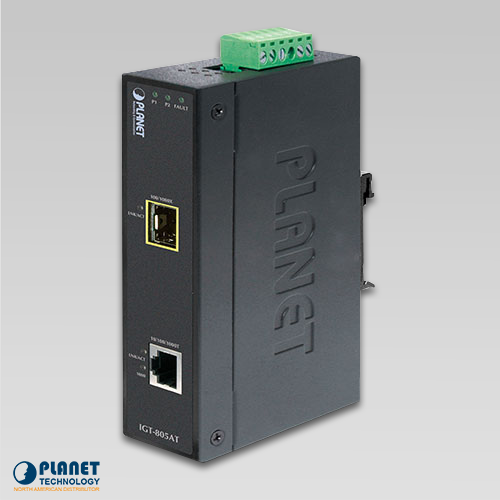 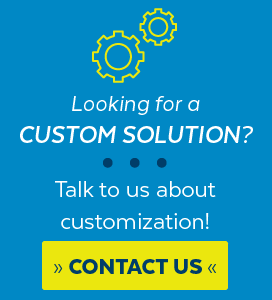 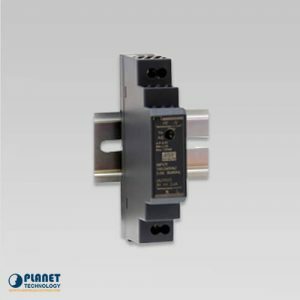 Planetech USA’s IGT-805AT is an Industrial Gigabit Media Converter providing non-blocking wire-speed performance and great flexibility for Gigabit Ethernet extension in harsh industrial environment. 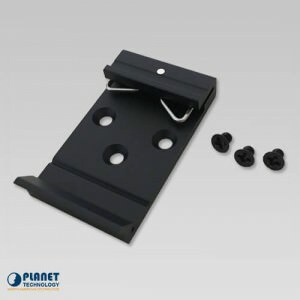 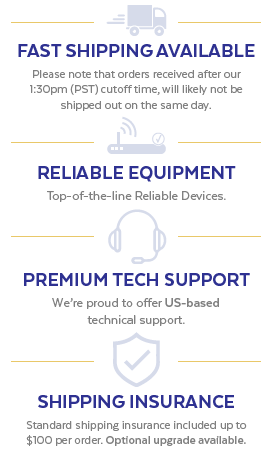 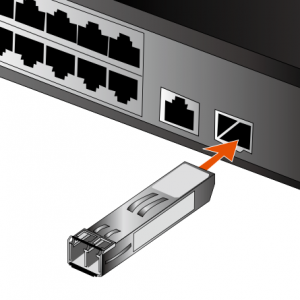 It is equipped with one 10/100/1000BASE-T RJ45 copper and one 100/1000BASE-X SFP fiber optic interface delivered in an IP30 rugged strong case with redundant power system. 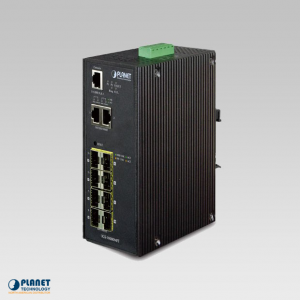 The IGT-805AT is well suited for applications in deploying surveillance system, and securing control and wireless service in climatically demanding environments with wide temperature range from -40 to 75 degrees C. With 9K jumbo frame feature support, the IGT-805AT can handle extremely large amounts of data transmission in a secure topology linking to a backbone or high-power servers. 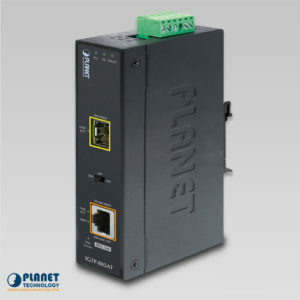 To enhance the operation reliability and flexibility, the IGT-805AT is equipped with two DC power input connectors for redundant power supply installation. 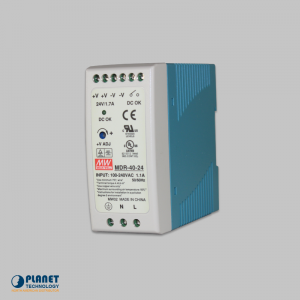 It also possesses an integrated power converter with wide-ranging voltages (12 to 48VDC or 24VAC) for worldwide high availability applications requiring dual or backup power inputs.